Master Wang Feng-Ming is an internationally reputed martial arts master specializing in Taiji, Qigong, and Baguazhang, and also a renowned writer in martial arts. He is the author of several books (in Chinese and a few in English) and has published more than 100 articles in martial arts magazines around the world. More than 20 martial arts organizations in various parts of the world have appointed Master Wang as honorary institute director, professor, or consultant. 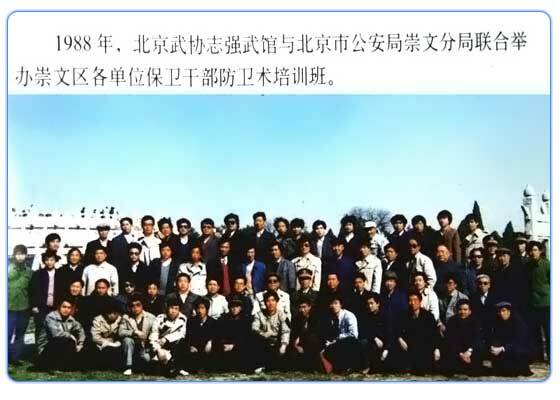 From 1988 to 1993, Master Wang also organized for the Beijing Public Safety Department (the Beijing Police Department)'s Chung Wan District a training workshop on Qin Na Self Defense for the Beijing police cadres. 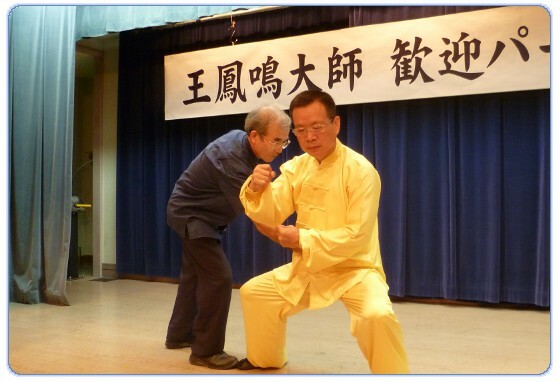 Master Wang is a disciple of Grand Master Feng Zhiqiang, the 18th generation successor to Chen Style Taijiquan. He is also a disciple of Liu Xinghan, the 4th generation successor to Baquazhang. Master Wang started martial arts training and practice at age eight in China. 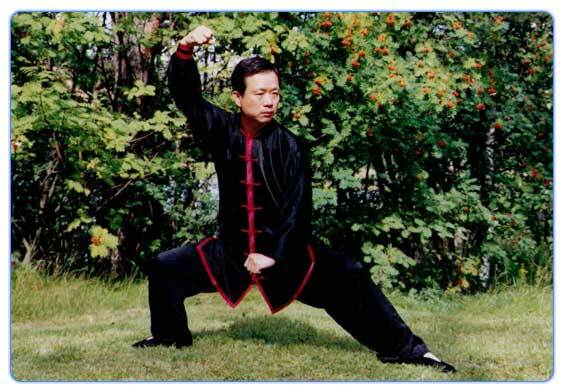 He has studied and taught martial arts for several decades, and won many awards in China and international martial arts and qigong competition. He is reputed as the "King of Neigong" and the authenticated Master of Taiji and Qigong. He is well respected and followed by students all over the world. 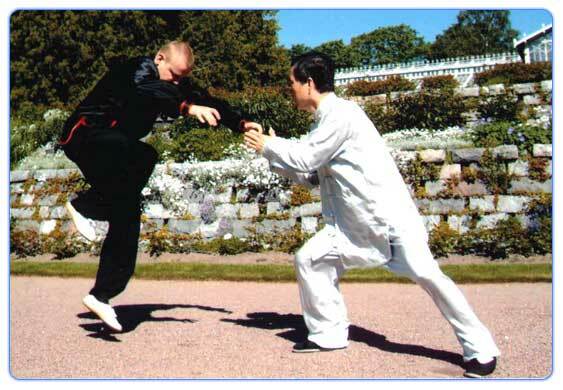 Starting in 1994 and for more than 10 years, Master Wang was invited to teach martial arts at the Department of Physical Education at the University of Helsinki in Helsinki, Finland. 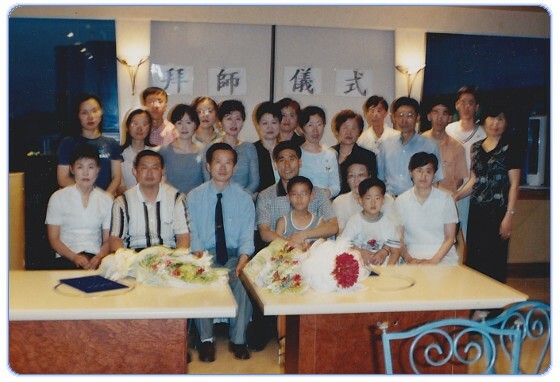 While in Europe, Master Wang established the very successful "The European Association of Chen Style Hun Yuan Taiji," which has organized an international workshop in a European country every year for the last 10 years. The last few workshops took place in Stockholm (Sweden), Amsterdam (Netherlands), Helsinki (Finland), and Paris (France). The 11th International Chen Style Hun Yuan Taiji & Qigong Workshop will be held in Helsinki, Finland during August 3-9, 2009. 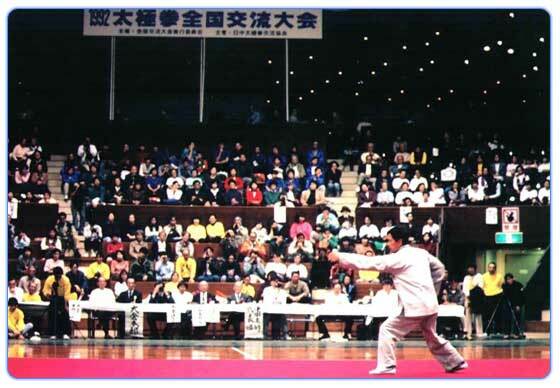 Master Wang is the founder of "The World Chen Style Hun Yuan Taiji Association". Japanese student feeling Master Wang Fengming's dantian vibration at a welcoming ceremony. 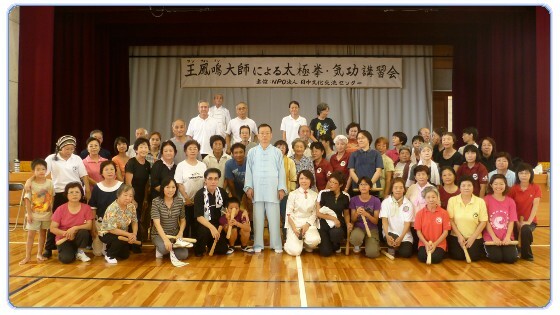 Students and Master Wang Fengming in a group photo. A discipleship ceremony in South Korea.